Christian Education is a vital part of faith development for young and old alike. Our Sunday School year begins the second Sunday of September and runs until the last Sunday in May. Children's Sunday School begins at 9:45 a.m.
Our Sunday School is a ecumenical outreach of neighborhood churches. Children from Christ Episcopal, First Presbyterian, and Immanuel Lutheran gather at Children's Chapel area in Christ Church every Sunday morning. 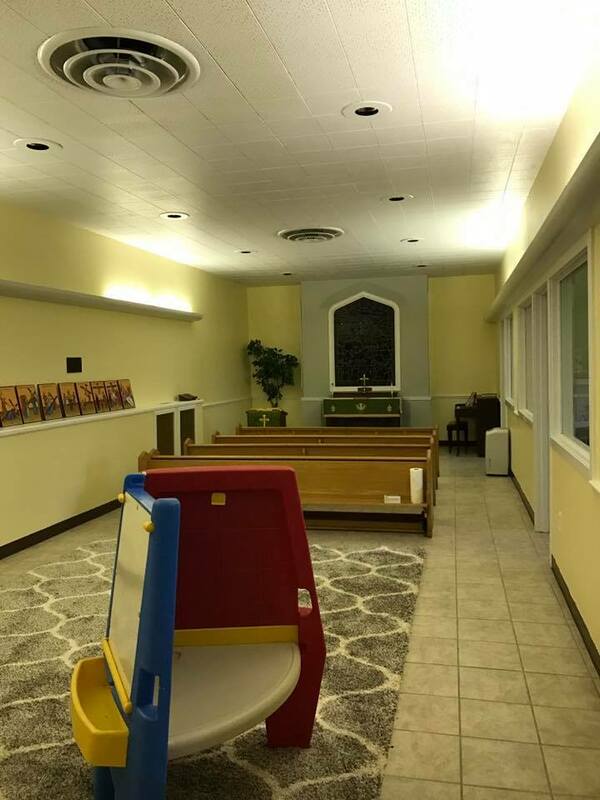 The Children's Chapel is located on the first floor of the Christ Church building. Signs inside the building can direct you to there location, or simply ask any member on Sunday mornings! Adult Sunday School begins at 9:00 a.m. This is a Bible Study conducted by our priest, Fr. Chad, on the lessons appointed for each Sunday. It is held in the Conference Room on the main level of the building. A Nursery and Play Room is available, but not always staffed. It is located on the main level of the Christ Church building.